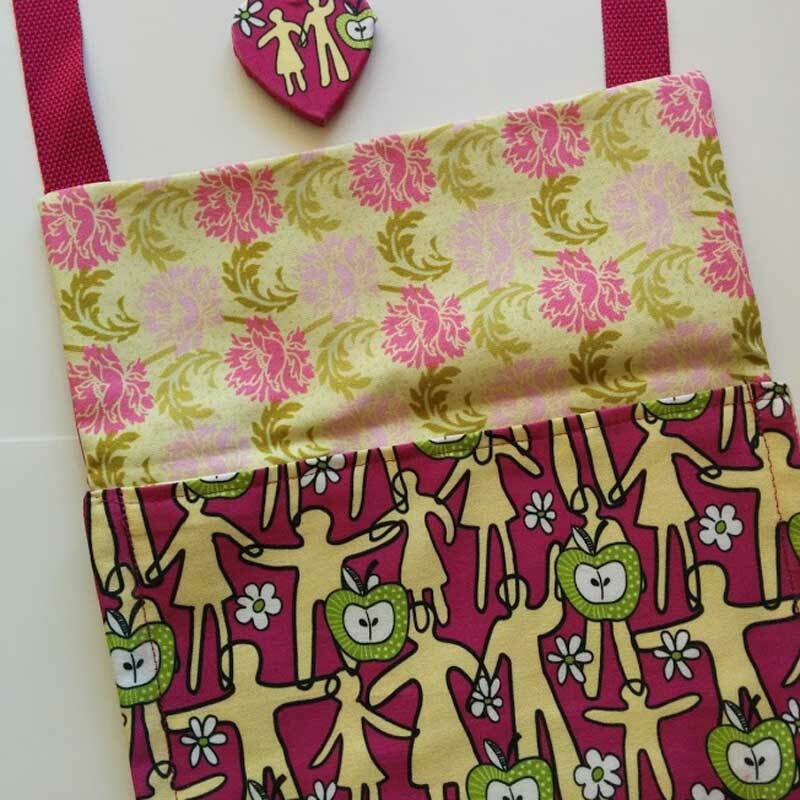 My handmade cross body bags are created with my own range of designer fabric which I have digitally printed on to cotton or canvas. They are lined with a contrasting fabric. The bags are of a simple, light-weight construction with no fasteners, the flap is the closure.The straps are non adjustable. There is a little pocket inside. 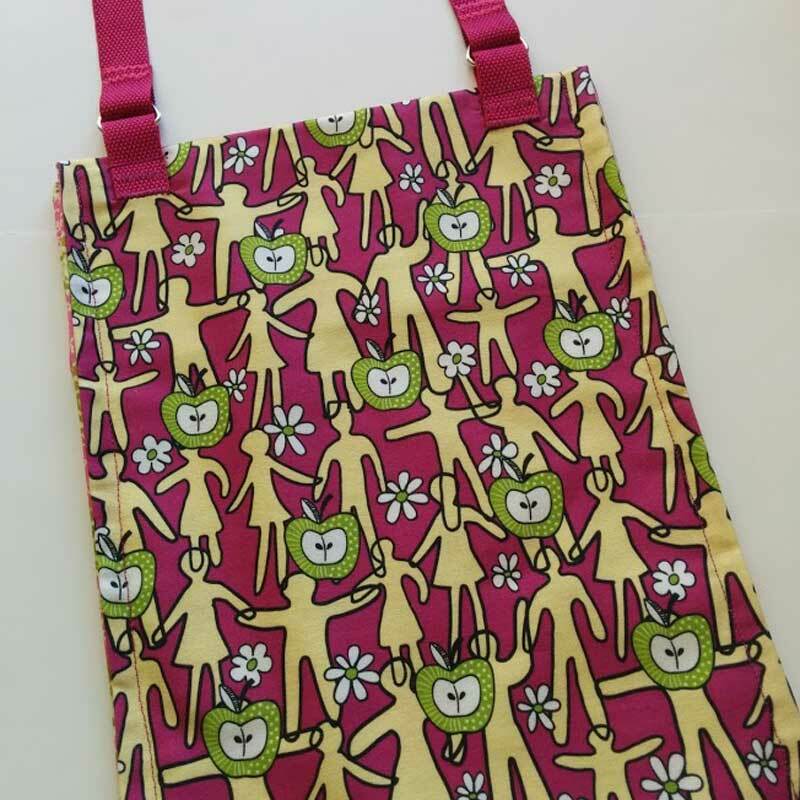 The bag listed here features my popular pop art inspired String People with Apples fabric in a dark pink. lemon and green cotton sateen. The lining is in a pretty contrasting floral fabric and there is a little felt pouch pocket inside. 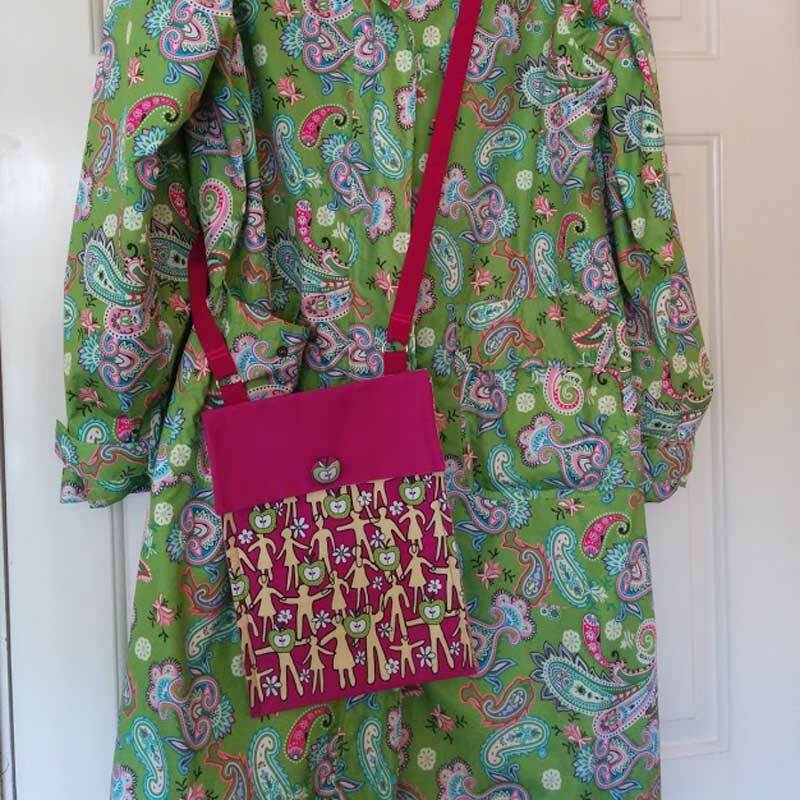 I have embellished the front flap with a button in matching fabric. The total length of the pink strap strap is approx. 120cm. The body of the bag measures 21cm wide x 29cm in height. 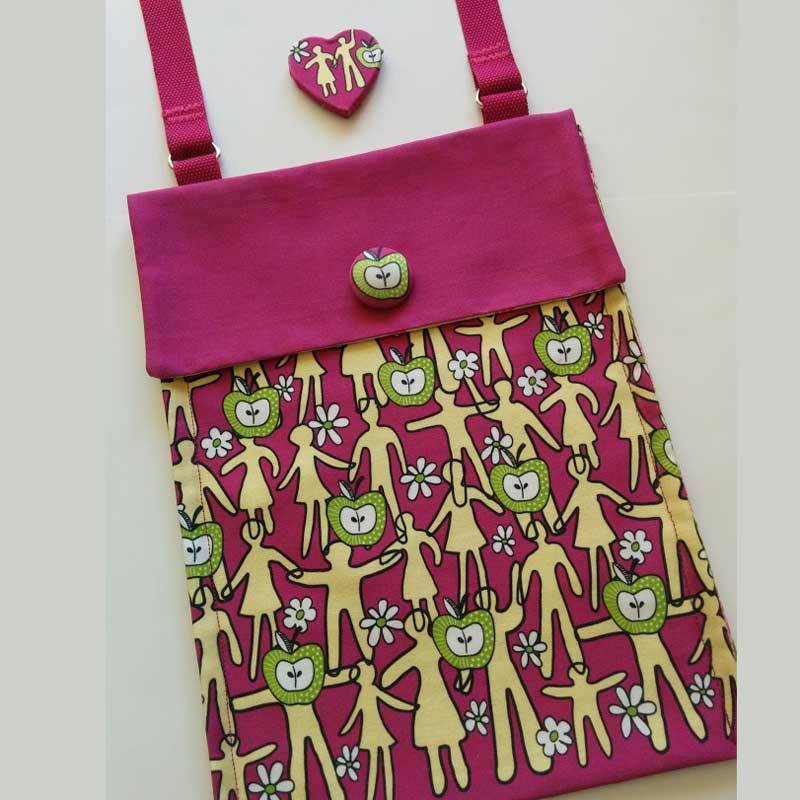 With this item I am also supplying a little heart shaped brooch in matching fabric which you could pin on the bag for some further decoration or simply wear separately. The fabric has been pre-washed and shrunk, I would only recommend sponging the surface of the bag gently. Nicely packaged to make a lovely, unique gift. Created in my Isle of Skye studio, free from pets and smoke.